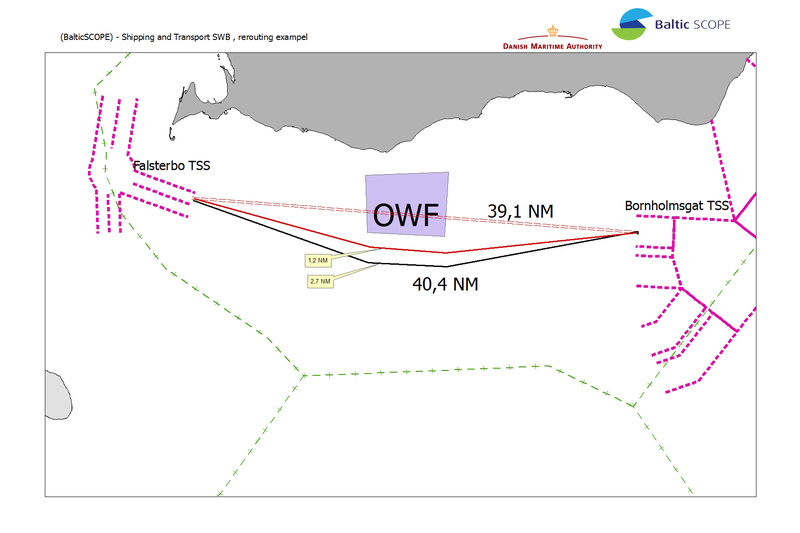 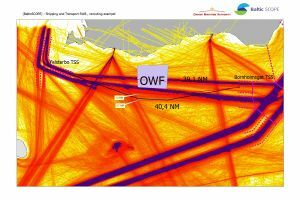 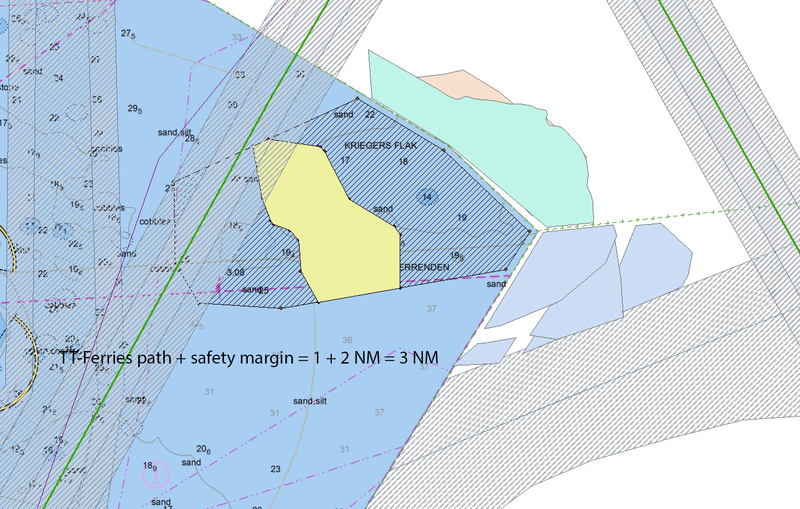 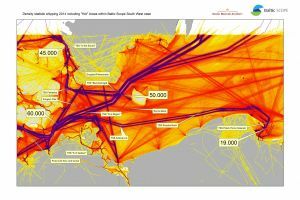 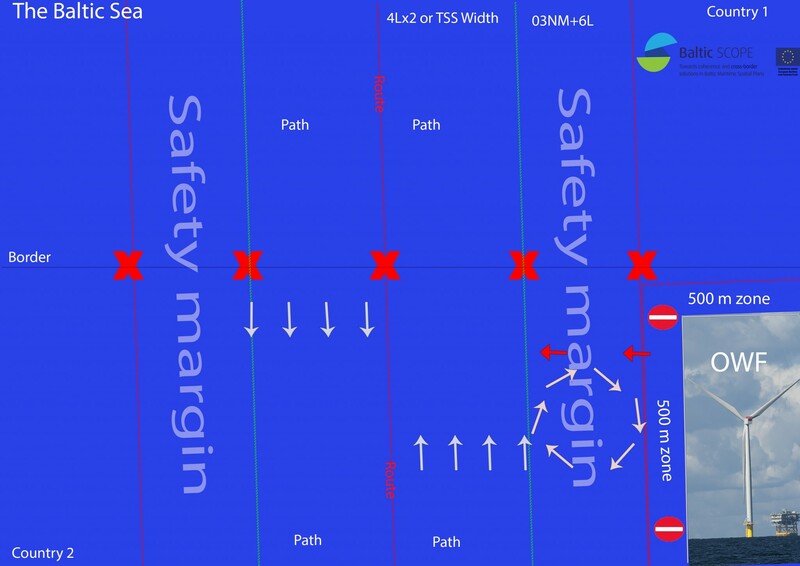 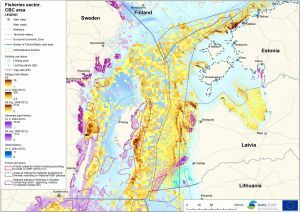 The map shows the density of all vessels carrying transponder equipment for the automatic identification system (AIS). 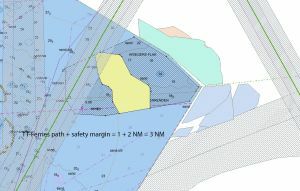 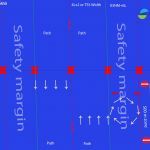 Passage line counts from different selected areas with high density of traffic are likewise shown on the map. 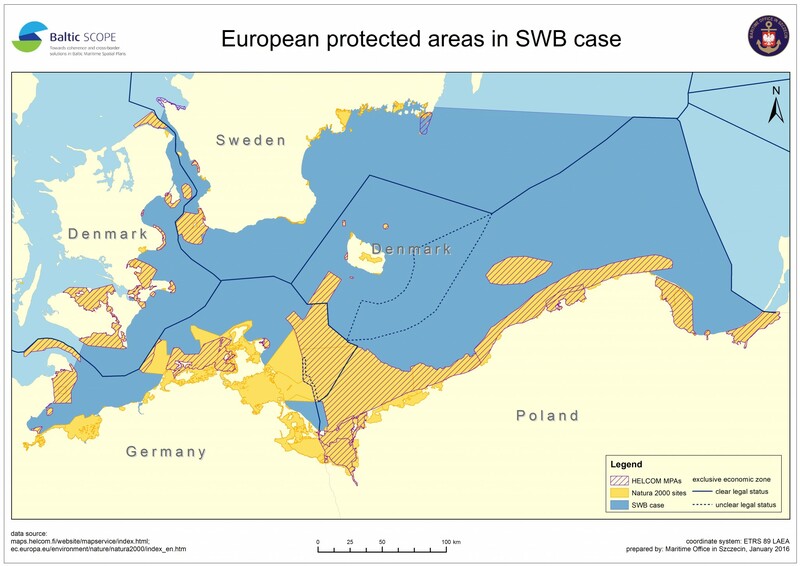 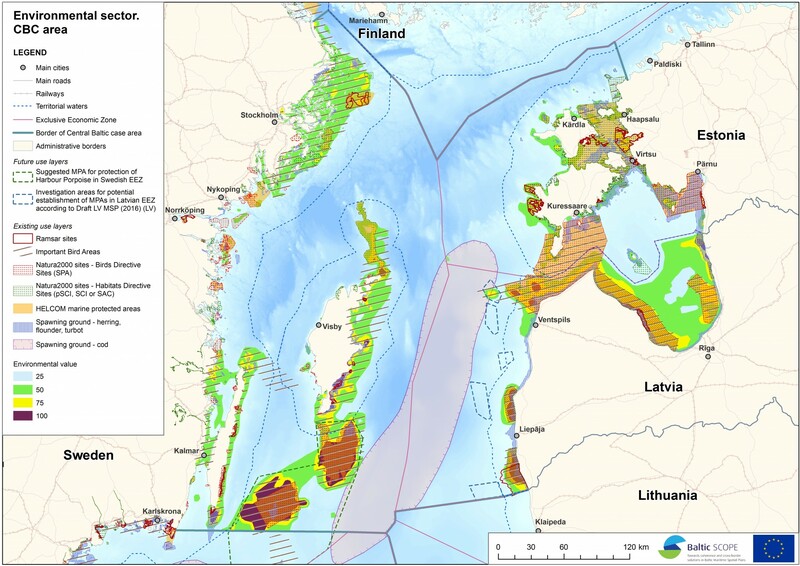 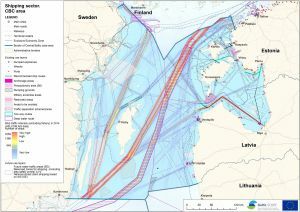 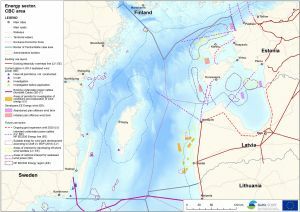 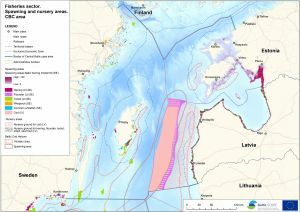 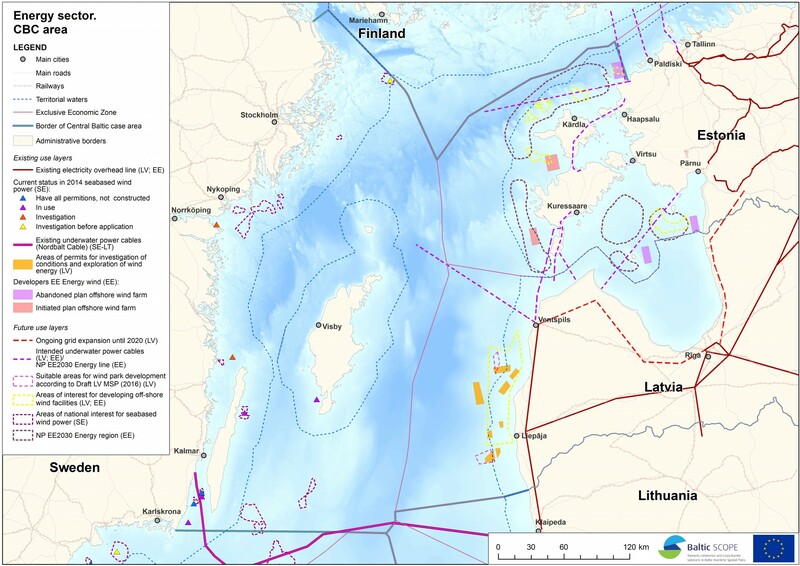 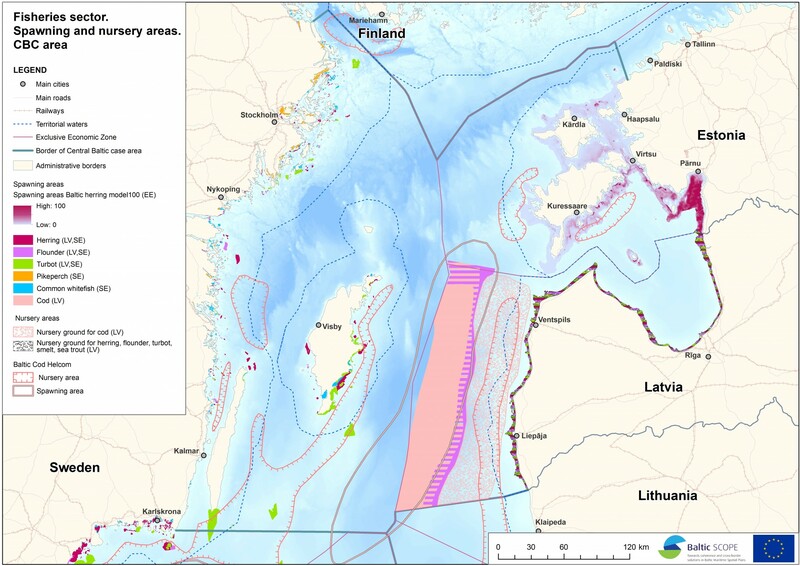 Map presents European protected areas in South West Baltic case: Natura 2000 sites and HELCOM MPAs, shown against the background of EEZ borders. Map presents European protected areas (Natura 2000 sites) shown against the background of EEZ borders. Additionally there are added focus areas determined in the project and the labels with their work names. 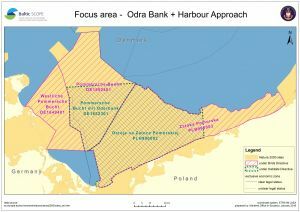 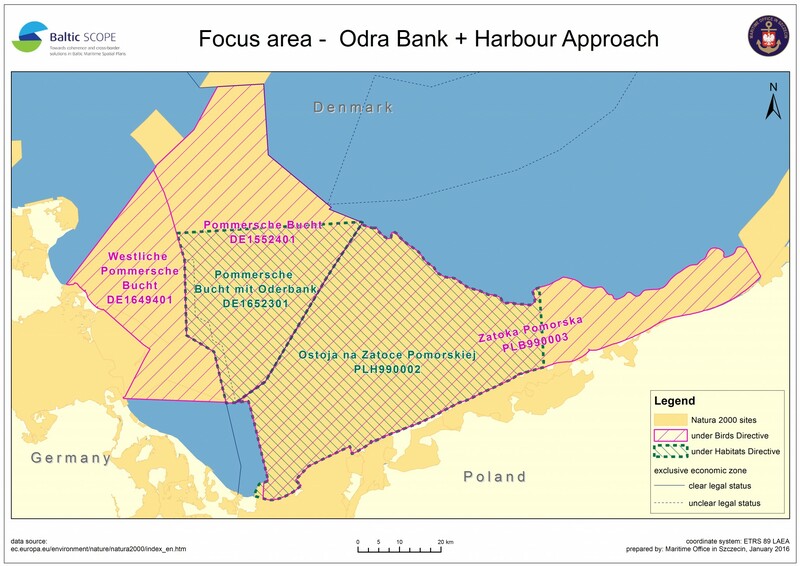 Map presents Natura 2000 sites under Birds Directive and under Habitats Directive in the area of Odra Bank + Harbour Approach (area between Poland and Germany). 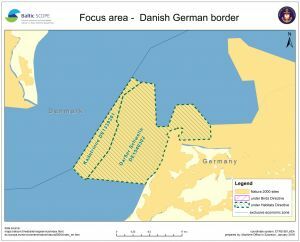 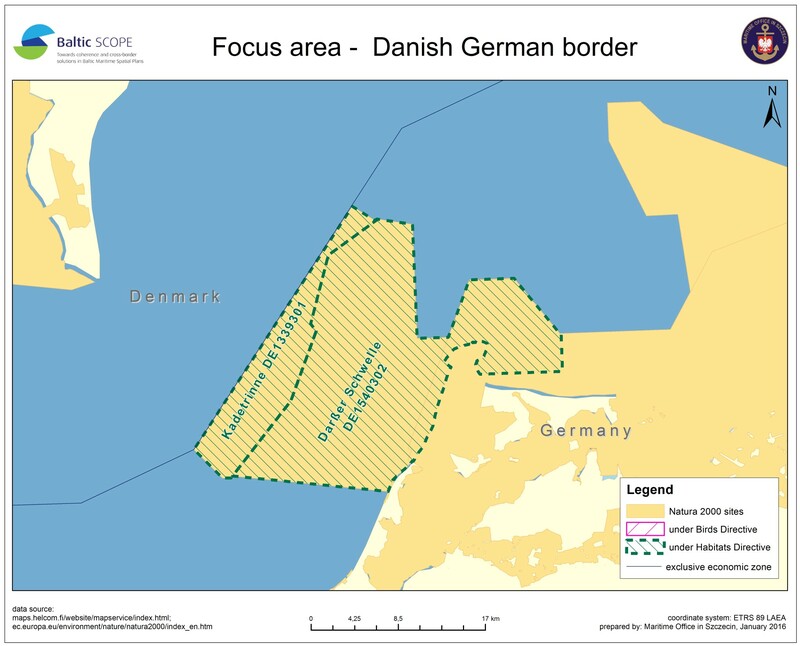 Map presents Natura 2000 sites under Habitats Directive in the area of Danish-German border. 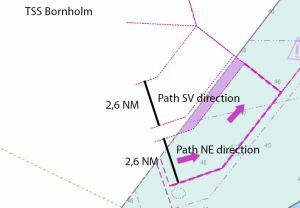 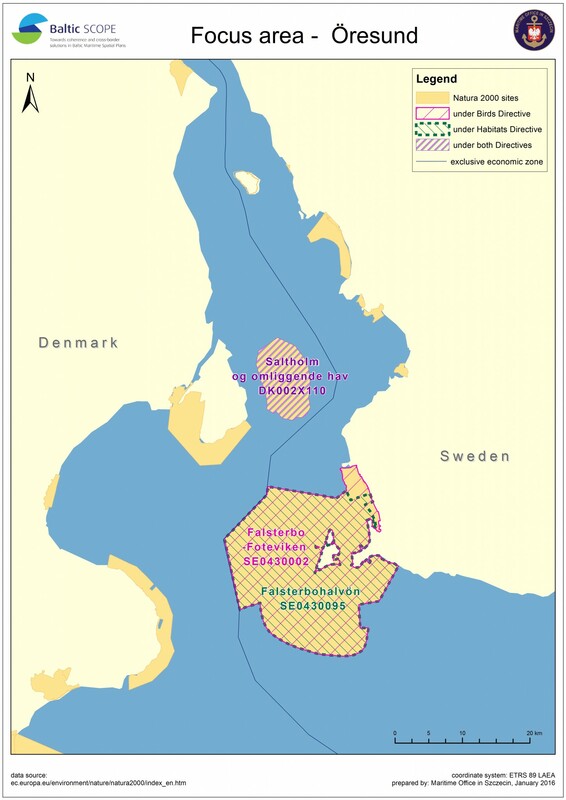 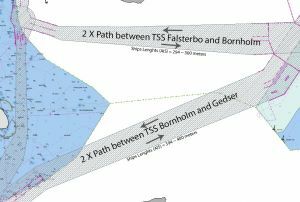 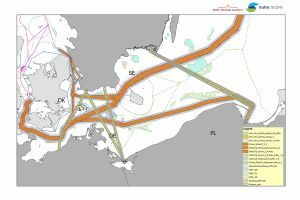 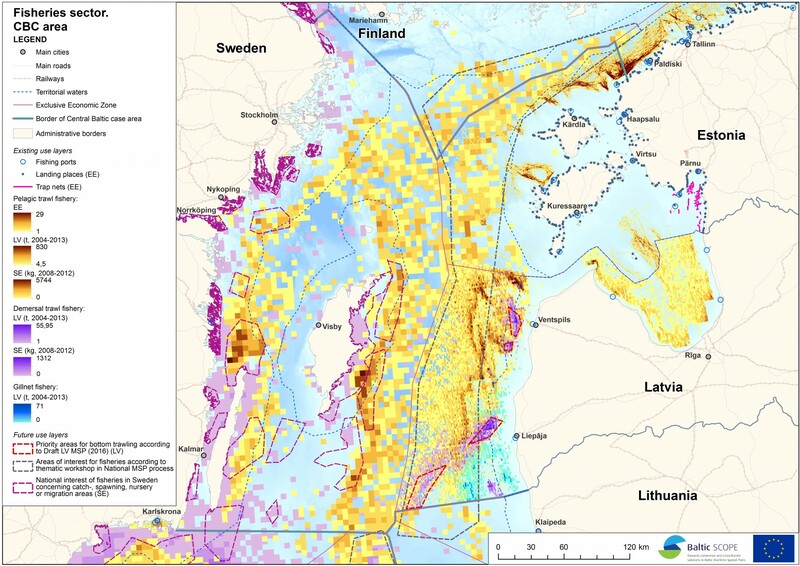 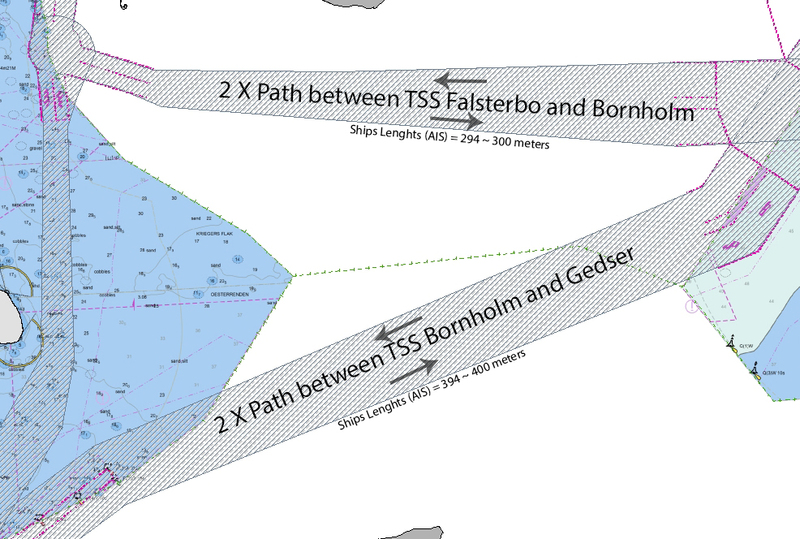 Map presents Natura 2000 sites under Birds Directive, under Habitats Directive and under both Directives in the area of Öresund (area between Denmark and Sweden). 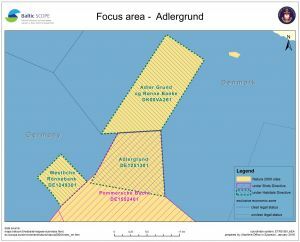 Map presents Natura 2000 sites under Birds Directive and under Habitats Directive in the area of Adlergrund (area between Germany and Denmark).